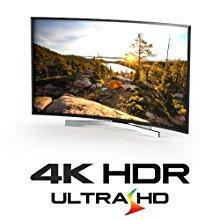 Perfect if you want to experience the true power of your home entertainment system. 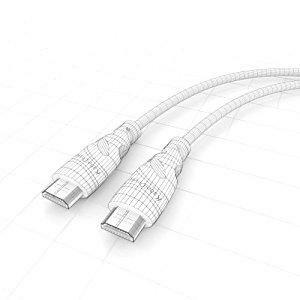 Your high-speed HDMI cable supports all available and previous features. Including, 1080p (1920 x 1080), 4k (Ultra HD 4096 x 2160) in 3D, and ARC. Constructed with full-metal connectors, double-shielding (alu mylar foil & aluminum braiding), 24k gold-plated connectors, and oxygen-free copper, you can buy with confidence knowing you’ll get pristine pictures and sound with a loss-free transmission. 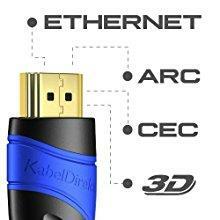 You’ll experience clear, vibrant colors because this cable meets the latest in HDMI standards. Providing you with transfer rates up to 18 Gbps, it supports all images including 3D, Full HD 1080p, Ultra HD (2k and 4k), and deep color. Your KabelDirekt cable also enables you to transmit high-resolution sound formats like Dolby TrueHD or DTS HD as well as 32-channel audio. CEC and ARC features allow you to simplify your setup by letting you control your devices from one control point. You don’t just get deep, pristine colors and HD audio. 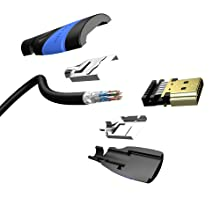 Your KabelDirekt high-speed HDMI cable also supports your internet connection. This makes cable management even easier as you no longer need an ethernet cable. You’re able to enjoy the experience of high-resolution pictures, HD audio, and internet in one user-friendly HDMI cable. Gold-plated, corrosion-resistant connectors deliver optimal signal transfer with lower distortion. Constructed with double shielding and oxygen-free copper conductors, your signal stays strong and pure. 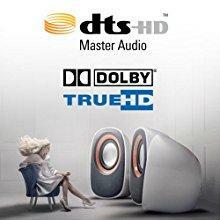 Meaning you can look forward to experiencing outstanding, uninterrupted sound and pictures for years. If you’re buying a 25 ft (or more) cable, you may require an HDMI Repeater to achieve the best possible signal. This strongly depends on your HD device’s configuration, because the signal strength varies from device to device. 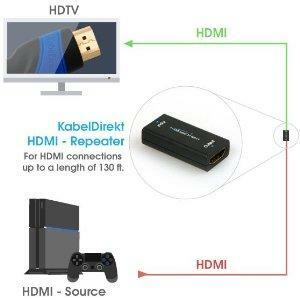 Please note: For KabelDirekt HDMI cables an HDMI Repeater is required in less than 1 % of the cases. We are a German company specialised on high quality cable products. Each cable goes through a 5-stage quality control check during production. Every feature, including each of the 19 pins, are tested to ensure you get the best possible build quality. Can’t say enough good things. They answered all questions and TV is amazing.